Dare to experience a stay at The Cullen. 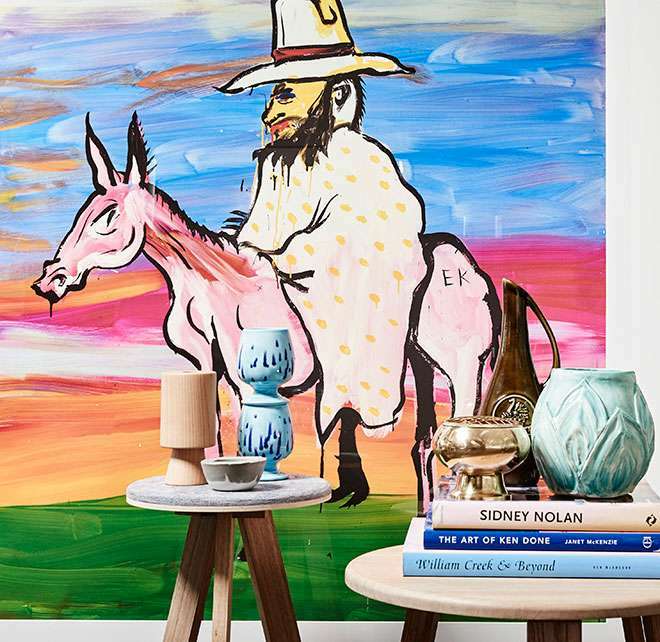 Daring and unique, bold and brash this boutique Prahran hotel is inspired by and named after the late Australian artist, Adam Cullen. Wake up with all the features at your feet to kick start the day right. 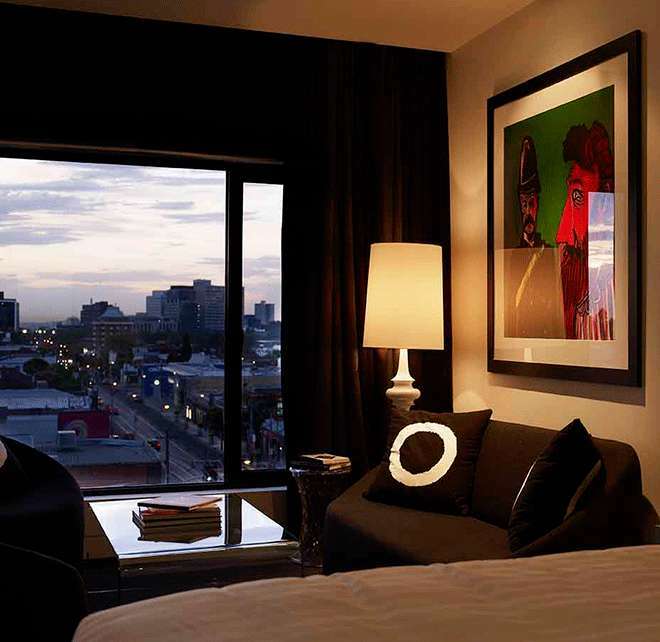 Art Series Signature beds for restful slumbers, fully equipped kitchenettes, two exciting restaurants, gymnasium plus Smart Cars and Lekker Bicycles on hand to hire. Fill your home with our art. Prints by Adam Cullen are available for sale on our e-store. 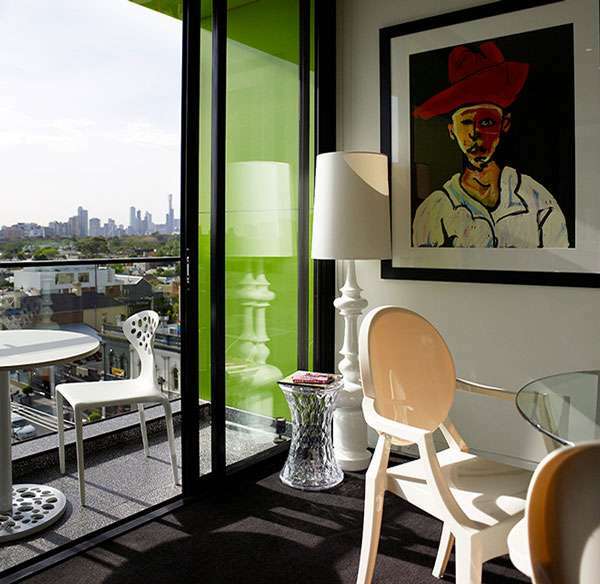 Whether staying for a month or a year, enjoy the benefits of a boutique apartment in Melbourne's desirable Prahran suburb. 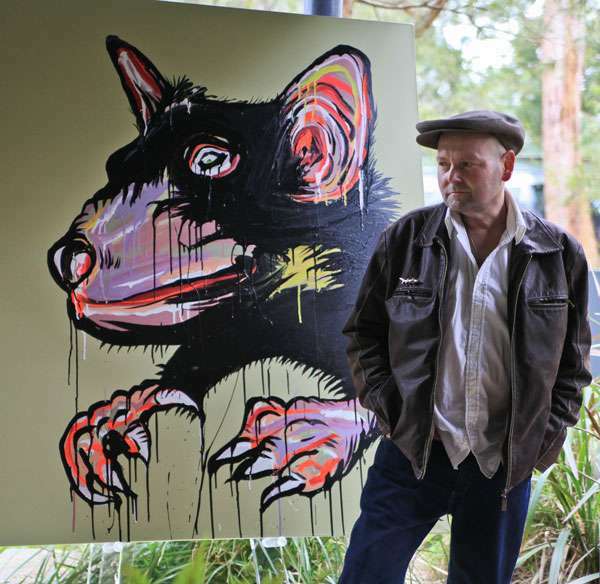 Daring and unique, The Cullen is inspired by and features lashings of original artwork and prints by Australian contemporary artist, Adam Cullen. The Cullen Hotel blends five-star hospitality with first class facilities to ensure your stay is a complete experience. 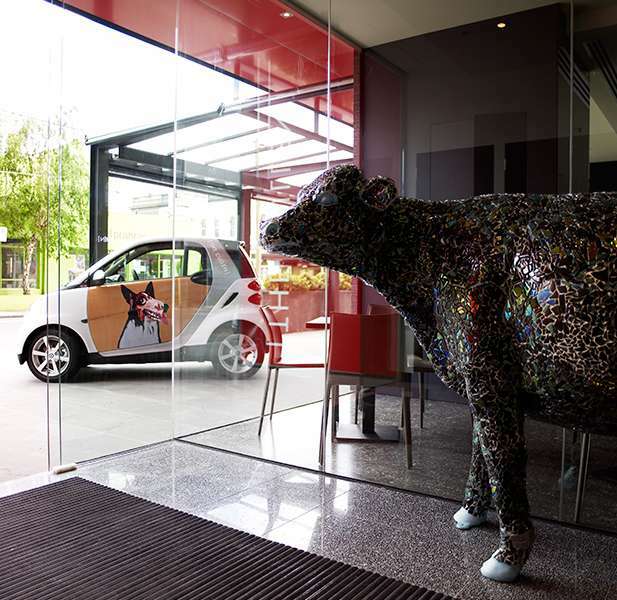 Enjoy the facilities in and around our boutique hotel in Melbourne. The Cullen is dedicated to ensuring your Melbourne experience is complete with two Prahran restaurants to tempt your taste buds. 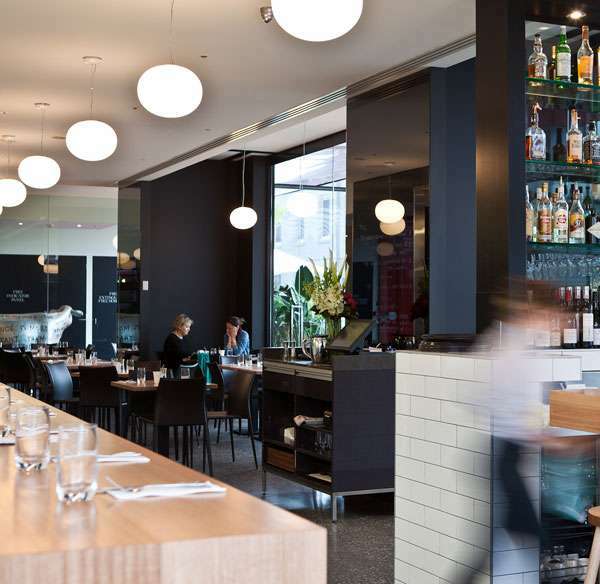 Experience some of Prahran hottest new dining spaces on the ground floor of The Cullen. 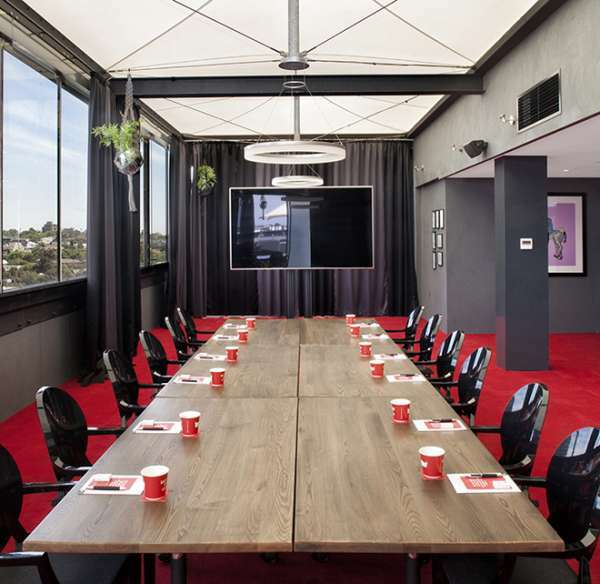 With sweeping views of the Melbourne CBD skyline, The Cullen is the perfect Prahran hotel for powerful and productive conferencing to memorable and bespoke special events. 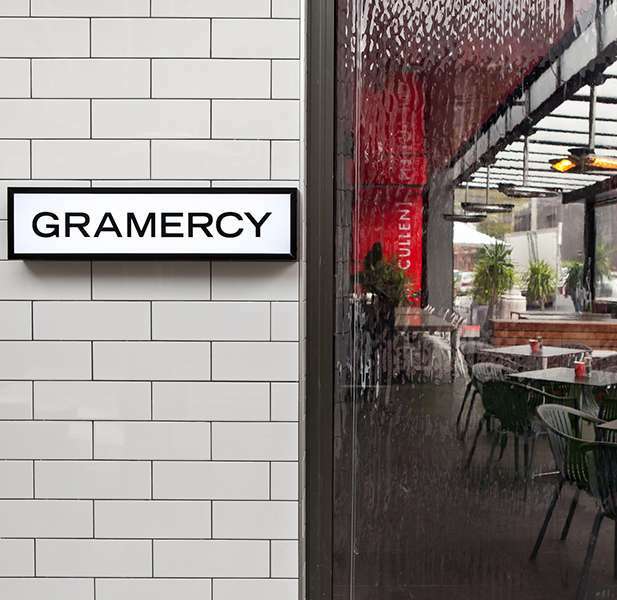 Two of Melbourne's hottest foodie haunts are on our doorstep; the NYC diner-inspired Gramercy Social and the mecca for dumpling lovers, HuTong Dumpling Bar. Gotta get out and about? 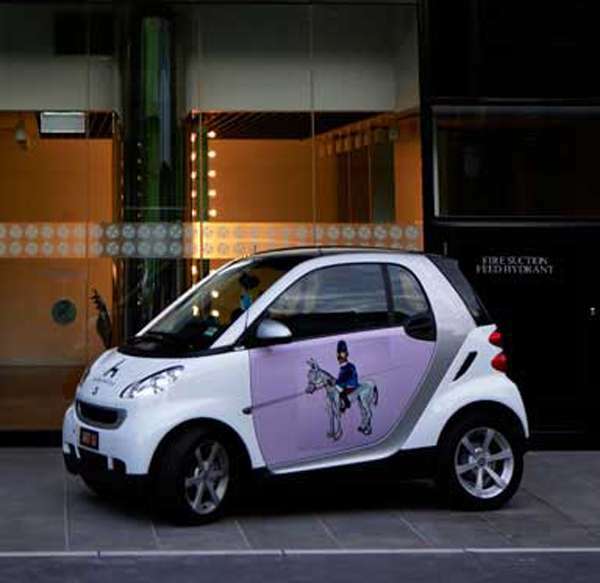 Hop in one of our eco-friendly smart cars to zip around town, for just $50 a day.